INSTALLATION SUPPORT IS FREE FOR ALL WarmCarNow PRODUCTS. Support contact info included with purchase. WarmCarNow is offering technical support for CRIMESTOPPER, FORTIN and ADS (idatalink) modules and remote starters. 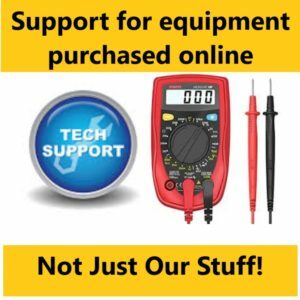 Support is available for equipment purchased from any vendor. WarmCarNow tech support can help with Module and remote start integrations for CRIMESTOPPER, FORTIN, idatalink. Manufacturers support can be limited at WarmCarNow we combine modules and remote starters to assemble custom products. Using our module integration knowledge and our extensive remote start experience we can troubleshoot connection issues and verify you are making connections that are correct. WarmCarNow tech support can support all CRIMESTOPPER starter and combo starter-alarm control modules. WarmCarNow tech support also supports Fortin EVO-ALL and EVO-ONE. Fortin Flash and option programming can be verified along with install guide review to verify all settings and instructions are correct. WarmCarNow tech support can also assist and verify connections when using a T-Harness or traditionally connected devices. WarmCarNow also supports idatalink bypass modules. Support is provided by phone and Face-Time. Warmcarnow tech support has access to wiring diagrams, module data, equipment programming guides and installation videos not yet published and available on channel WarmCarNow. To make the most of your time Please have your data ready. Vehicle year, Make and model details. Installation instructions or guides available. Smart-Phone on location to provide pictures and Face-Time if needed. Description of the issue you are having or the issue you need support for. After support purchase you will receive a support email asking for these details. Providing information by replying to the support email will allow us to review the issue prior to live support. This will help you by letting us gather data on our time. If we review your information and decide we can not provide support for your issue we will issue a full refund and provide a email response with reason.